Posted by Ken Briodagh & filed under IoTEvolution, IIoT, Dell. Posted by Ken Briodagh & filed under IoT Community, IIoT. Posted by Ken Briodagh & filed under IoTEvolution, IIoT, Industrial Internet, Pitney Bowes, GE. 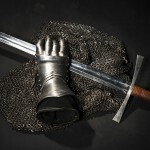 In this episode of the IoT Time Podcast, Ken Briodagh, editorial director of IoT Evolution (iotevolutionworld.com), sits down with Anand Deshpande, Founder and CEO of Persistent Systems (www.persistent.com), to talk about his company’s partnership with IBM to create the future IoT technology that will lead to truly intelligent machines. Tweet us @KenBriodagh and @IoTEvolution. 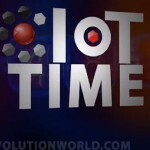 In this episode of the IoT Time Podcast, Ken Briodagh, editorial director of IoT Evolution (iotevolutionworld.com), sits down with Anil Kaul, CEO and Co-Founder of Absolutdata (absolutdata.com) to talk about data, Big and otherwise, and why it will be the essence of the future IoT. Tweet us @KenBriodagh and @IoTEvolution. Posted by Ken Briodagh & filed under IoT Community, IoTEvolution. Posted by Ken Briodagh & filed under IoTEvolution, Database.